Guess who made the list as one of Huffington Post’s most over-the-top Christmas trees of 2014? Guess who made the list as one of the most over-the-top Christmas trees of 2014? We did! 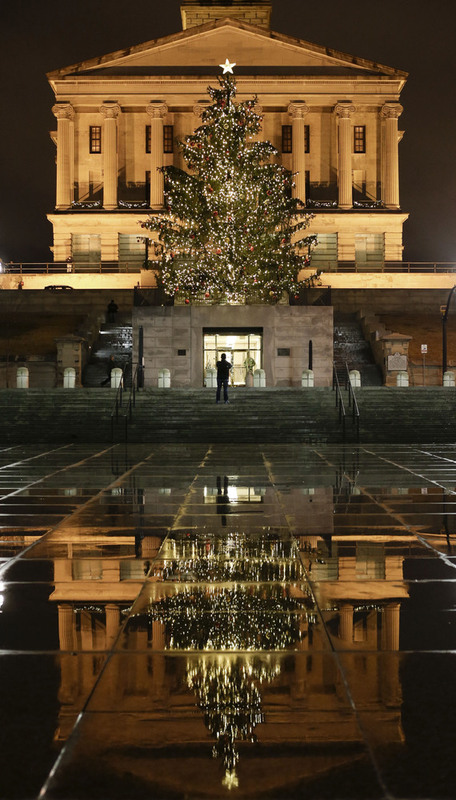 According to the Huffington Post, the Tennessee capitol tree we were honored to decorate and light this year, located in downtown Nashville, made the list. The picture is truly breathtaking isn’t it? As the reflection of the majestic tree is captured in the damp tiles that surround the capitol, it is a testament to the state of Tennessee in its finest moment. The trees we decorated and lit over the past two holiday seasons, (2012 & 2013), were stunning, however this year’s tree may have outshined them all! This year’s tree is a 27-foot-tall Norway spruce donated by Ed Mascolo of Nashville. The tree was decorated in red, silver and blue with Tennessee flags. It features an oversized tree topper bow, which was handmade in the state and there are more than 3,000 LED lights on the tree. This excerpt was published in the Tennessean on December 11th. 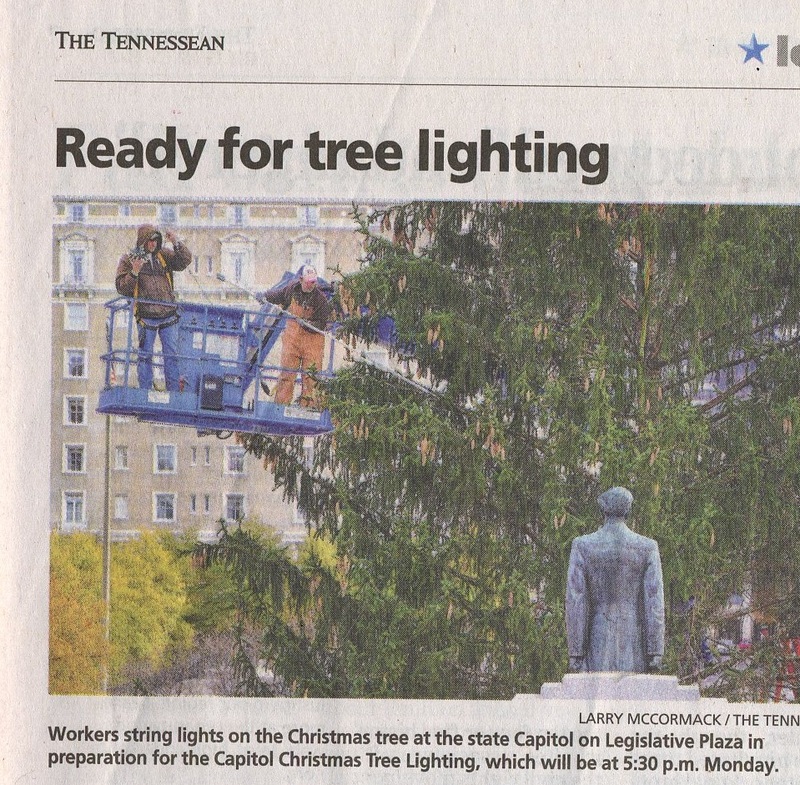 It shows our talented team stringing lights in preparation for the big reveal officiated by Governor Haslam and his wife, Crissy, at the state capitol on Legislative Plaza. Admittedly, we are very proud to make the list as our tree is definitely in good company alongside the upside-down tree in Paris”, the capitol Christmas tree at the US Capitol in Washington, DC, and many other amazing trees from around the world that have captured the imagination this year! Photo of the unique upside down Christmas tree in Paris courtesy of the Huffington Post. If you would like to spark that same childlike wonder with your holiday lighting display, it is never too soon to begin thinking about next year’s Christmas lighting — on 364 days left and it will be here before you can blink!